Tartan Flashes! Give your kilt hose some extra flair with a pair of these flashes in your favorite tartan. 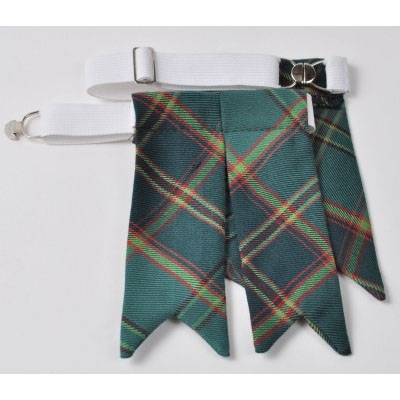 Fastens with polished chrome clasp (not Velcro) to ensure secure attachment with no snagging of your kilt hose. Superb craftsmanship and matches my kilt flawlessly! A must have addition to your wardrobe. The buckles are very easy to get on and off. They match the All Ireland Kilt perfectly. 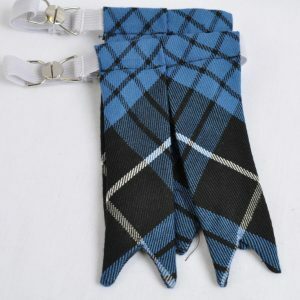 Matches the tartan perfectly and a must buy to go with the kilt hose!